A grandmother beat up robbers, and they’re now in custody. 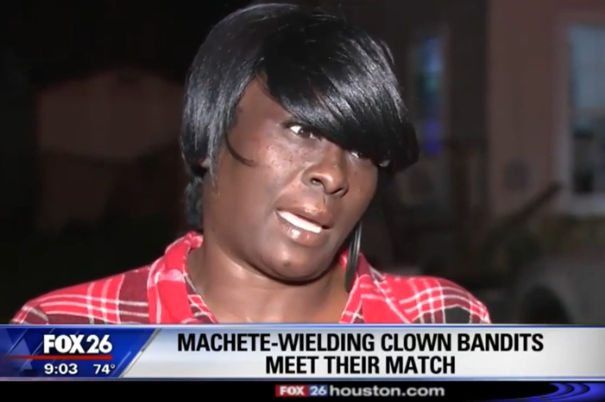 A Texas grandmother and her husband from Houston held down two robbers who wore clown masks and wielded machetes. The two men demanded cash. In the early hours on February 1st, Aretha Cardinal and her husband, Joseph Nelson, were sitting in a parked truck outside their home in Houston. 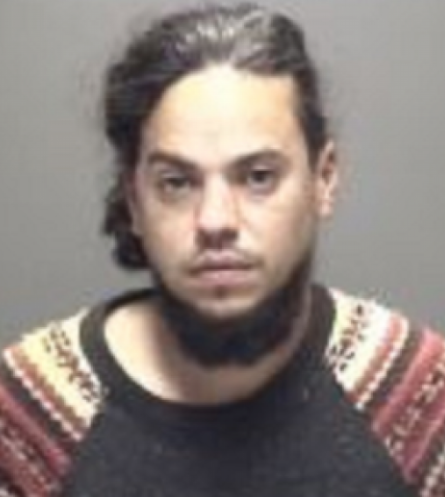 Texas City Police said the attack occurred on the 500 block of 13 Street North, and the suspects approached them while they were in their car in their driveway. After they didn’t give up any money, one of the suspects proceeded to hold a machete to the Nelson’s throat through the truck window. While that was happening, Aretha got out of the car quickly and went to grab her grandchildren’s scooter that was in the driveway. She pulled around the back of the car with the scooter, and found her husband had quickly yanked one of the machetes out of one of suspects hands through the car window. She proceeded beat them each with the metal scooter, and her husband took away the other man’s machete as well when she hit them, and they continued beating them down with their hands and the scooter. As Aretha continued beating them with the scooter, it broke in half. Aretha then took a broken half of the metal scooter and busted up the car that the robbers pulled up in. Any weapon is good for me if I can get you off me and my husband, that’s what I’m going to do. One of the men managed to get up and run away, but Nelson chased him down with the machete, and held him down there. Nelson joked that the man who he chased was so scared he thought the man was going to jump in the police car of his own accord when the police car pulled up. The two then continued to beat the men until police came. Texas police arrived as they called them while beating the men up. were detained by officers from the Texas City Police Department at approximately 2:30 a.m. on February 1. 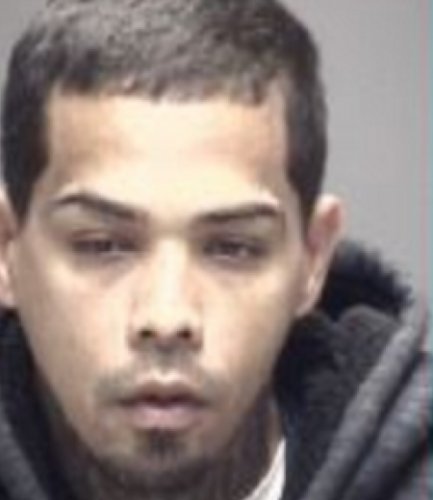 Inmate records confirmed they were transported to Galveston County Jail with bond set at $100,000 each. The suspects were charged with aggravated battery.